My practice in White Plains is the non-surgical approach to healing. I work side by side with two Medical doctors who specialize in all spine related injuries and pain management. We also have a team of physical therapists. I specialize in neck and back pain but treat a wide array of aliments. Headaches, fertility, sinus, IBS and much more. Eric Roth, MD, MD, L.Ac. 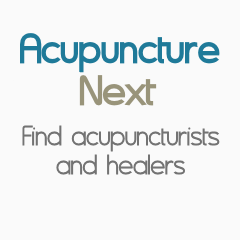 Traditional oriental medicine and acupuncture in Westchester, NY and Bergen County, NJ. We strive to relieve the pain, aches, and everyday issues such as stress, weight loss, fatigue, quitting smoking, allergies, headaches, diabetes, immune deficiency, sport injuries, arthritis, sciatica, colds/flu, and many more conditions. Margaret Steele, M.S., L.Ac., NCCAOM Dipl. Holistic Diabetic and Lifestyle Changing Progams.Wt.Loss. Gouri Maharaj, BPE. Med. MH. PhD. CHHP.